We’ve all heard about ‘noise’ in concert photography, but what exactly is it? Is it good or bad and what are good noise reduction techniques? In digital photography ‘noise’ is visual distortion and looks similar to film grain and when it’s really prominent, it can ruin a photograph. There are several contributing factors to noise in photography. Smaller digital sensors (known as DX or Crop Sensor) generally have smaller pixels and therefore hold less information. Full frame or FX sensors generally have larger pixels and can hold more information thus handling noise better. However this is not strictly true. Let’s look at an example. When you put 20 megapixels into a full frame sensor, and the same number into a point-and-shoot, the noise is always going to be worse in the P&S, because the pixels are much smaller. Let’s compare the Canon 5D Mk III and Nikon D800. The Nikon has more pixels but the sensor is the same size and because of this, noise will be more prominent in the Nikon. A greater pixel count does not always mean better picture quality, pixels aren’t everything. Why is there more noise when shooting in low light? 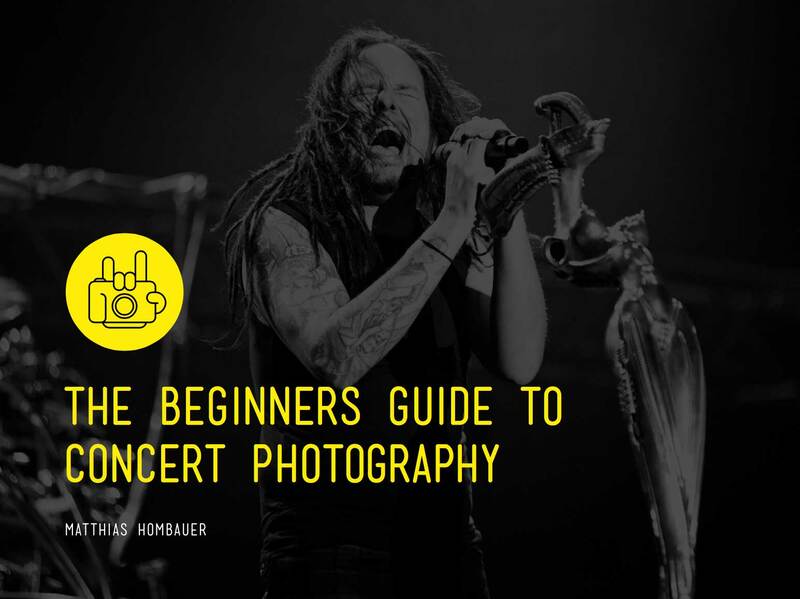 When starting out in concert photography, you may not necessarily have the latest and greatest lenses and camera bodies. More affordable cameras and lenses usually will not be able to handle shooting in low light as well as the high-end cameras. The clue is in the name photo – Greek for light – meaning you are capturing light and you need it in order to be able to take a photograph. So what happens if you do not have much light available, such as at a concert? As you know, you can let in more light by having a wider aperture, slower shutter speed and a higher ISO. However, slowing your shutter speed at a concert will not provide you with sharp, crisp images – especially with a fast moving band or shooting from the crowd. To maintain a high enough shutter speed you can crank up your ISO to increase the sensitivity of the sensor, forcing the sensor to see more light. However, in doing this, the sensor warms up and causes interference and introduces noise into the image. The higher the ISO the more prominent the noise; as the sensor will struggle and will deteriorate the photograph. Think of this in terms of a cd stereo system, the volume increases the ‘loudness’ but when you increase it too much the sound is distorted and renders the song unlistenable. The same is said for cameras, there is an acceptable limit and beyond that is unusable. As with stereos, different models of cameras handle this ‘distortion’ better, i.e. you can by a ‘louder’ stereo. Essentially, no, noise in concert photographs is not the biggest problem in the world. A little noise can add character to a photograph, as long as it doesn’t subtract from the subject. If the first thing you notice about the photograph is the amount of noise, though, then it is too much. Many of the great iconic concert images from ‘back in the day’ are riddled with noise but the subject of the image and the composition is so strong and striking that no one gives two hoots about the noise. There are many ways to reduce noise in your images; some are rather costly and some cost nothing at all. First and foremost let’s talk about the camera gear itself. The old adage springs to mind here ‘it’s not the camera that produces great images, it’s that photographer’. This is very true and one we must remember, we need to hone and refine our skills to become great photographers. As true as this is, concert photography throws us situations that are beyond our control, the main problem being low light. We need equipment than can handle our demands but we must now how to use it to get the best results possible. Full Frame (FX) DSLRS are great at handling noise due to the increased sensor and pixel size. There is more room per pixel on larger sensors resulting in the pixels and sensor remaining cooler thus reducing noise in our images. Full frame cameras are expensive and may not be viable when starting out on a budget. Fast lenses are a must; the wider the aperture, the more light can reach the sensor allowing the photographer to use a lower ISO setting. For zoom lenses a fixed aperture of f/2.8 is ideal. For prime lenses (fixed focal length) f/1.4, f1.8, f/2 and f/2.8 are the ones to go for. Fast lenses can be prohibitively expensive and not an option when starting out. Low ISO setting. The lower the ISO setting, the less stress is placed on the cameras sensor resulting in less noise. With concert photography, ISO settings of 1600 or 3200 or greater are very common so a little bit of noise is inevitable. Concert photographers have to use fast shutter speeds to freeze action (1/200 or faster is ideal) resulting is less light reaching the sensor. This results is higher ISO settings being needed and noise being introduced. Use the lowest ISO possible to get the correct exposure. Noise is more prominent in shadows and dark areas of the image so a great tip, light depending, is to over expose the image slightly or ‘shoot to the right’ where possible. The exposure can easily be corrected in post-production and it’s better to pull back some highlights then try and rescue a dark under exposed image due to the noise issue in the shadows. Be careful though not to ‘blow out’ the highlights when doing this as there will be no information recorded making rescue impossible. Higher end cameras come with an inbuilt noise reduction settings that can be set to reduce noise in camera. Be careful though as too much noise reduction can flatten an image and make it look too smooth. All this talk of high-end full frame cameras and fast lenses can seem daunting to the new concert photographer because these things can be prohibitively expensive. Fear not though, great concert images can be taken with just about any camera and there is a wealth of things than be done after the shoot to enhance your images. Post-production is an excellent way to reduce the noise levels if you cannot afford a more expensive capable camera body and lenses. If you have Lightroom or Photoshop, there are built-in tools for reducing noise. However, it usually applies to the whole image and can make it look less sharp as it smooths out the grain and noise, which is not a good look for your subject. One way around this is to create a mask and brush away the noise around your subject in a more subtle manner. This works especially well with an already out-of-focus background, as it will intensify the “Bokeh” effect! Apart from the built in noise reduction tools in PS & LR and the software that came with your camera there are plenty of other tools available. These tools usually manifest themselves as plugins for the more popular applications such as Adobe Lightroom and Photoshop. Read more about Photoshop vs. Lightroom here. Due to the low light conditions we face as concert photographers, noise in our images is inevitable. We have to balance many elements when making an image such as shutter speed, aperture and ISO. Higher end gear can help us reduce noise in our images as well a post-production techniques. However, we should not spend too much time worrying about noise in our concert photos. Noise is part of the game and can actually add to image. If an image is strong enough, then the noise will not be noticeable and the photo will speak for itself. If the first thing noticed in an image is noise then the image is lacking in other areas. The areas to be focused on should be, exposure, composition, lighting and sharpness.